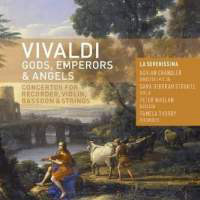 This was a CD-launch concert; as we already had the CD for review, and had greatly enjoyed their previous Vivaldi in France disc, we listened to the first part of the concert (only 35 minutes music !) at St John's and, for comparison, the second half back at home. 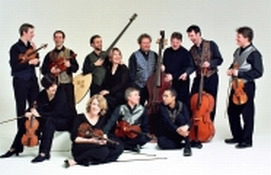 This English ensemble, based in Winchester, has made a niche for itself which compares well with Italian rivals. The violinists are excellent and Pamela Thorby (recorders) and Peter Wheelan (bassoon) real stars. Both of them were as assured live as on studio discs; Whelan's baroque bassoon is on the quiet side, and Pamela Thorby displayed real flair, nearly taking over direction of the orchestra with her ample gestures. The sound from Row H of St John's was clear and gave an excellent impression of a cohesive ensemble live, if a little recessed even within the front block, and it has to be said that the concert offered short measure at prices up to £30 + booking fees, the CD having identical programme, plus an additional 12 mins violin concerto, at TT c.1 hr 10 mins total, a duration more usual for lunch-time concerts; better value at from c. £10 ! This CD, details as above, is admirable in every way, and the substantial "extra" concerto, L'amoroso from La Cetra, is notable for its unusual affetuoso style, with abundant appoggiaturas. The recorded sound (Hospital of St Cross, Winchester) is perfectly focused and detailed and the sequence nicely contrasted. Emerging into SJSS from torrential rain (we had nearly given up !) we did not see until too late that text-sheets were available on request to add to our Festival programme books, so heard the first half in ignorance of the words of some complex madrigals, as explained by Robert Hollingworth, who also took part in the singing and played harpsichord. This full-length concert was stage-managed with flair, ending with a semi-staged performance of the Ballo delle ingrate which utilised the whole of the church, with a duly frightening "horrible noise of untuned drums" and Pluto, a stirring bass, scaring us from various vantage points around the hall, it all finishing with a descent of the spiral staircase to be "swallowed by the burning cave". Sonically, the proceedings were managed superbly, with every voice and instrument having its moment, the whole far more vivid than La Serenissima's the previous night, partly because the curtains behind the stage were opened, enhancing reflection of the sound from the back window into the auditorium. No feeling tonight that we were losing out against recorded studio sound on CD. This was one of the most successful of this year's Lufthansa Festival events. There are several recordings but because it comes from Handel's italian period, La Resurrezione is little known in UK and most of us will have been hearing it for the first time, with due amazement. Handel had journeyed 700 miles to Italy, where he hoped to be composing operas, but they were banned by the Pope of the day, so this was a compromise. It is all but opera, with florid solo arias and an Easter story, but not really suitable for full staging. 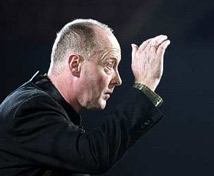 We had two distinguished substitute singers, at short notice, their roles demanding extreme virtuosity, but they were both superb, and the whole thing was put over with huge conviction and style. It was recorded for broadcasting on BBC R3 2nd June 7 p.m. - not to be missed !